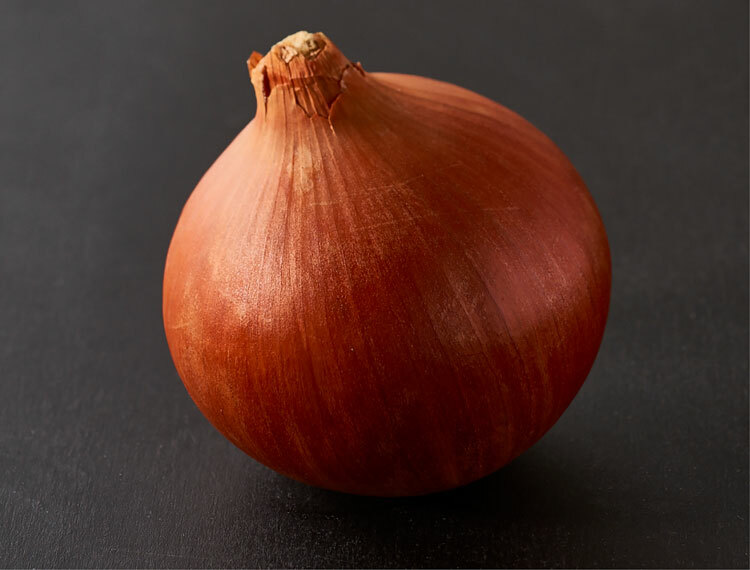 Brown onions have a brown or almost yellow skin and creamy flesh. They have a strong flavour and are excellent for cooking, which is why they are the most widely used onion. With a pungent aroma and strong flavour, it’s an excellent all-round onion. Red onions, sometimes incorrectly called ‘Spanish onions’, have purplish red skin and white flesh tinged with red. These onions tend to be medium to large in size and have a milder and sweeter flavor. 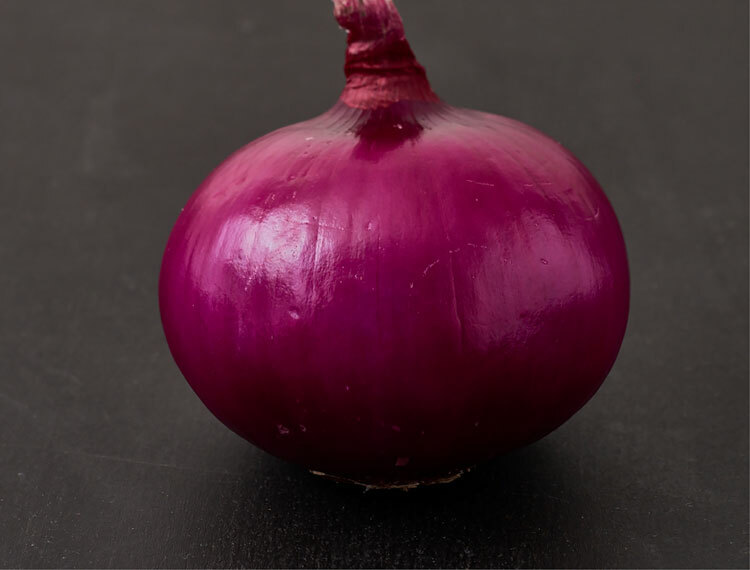 Red onions are often consumed raw in salads or lightly cooked with other foods. They are excellent for adding colour to meals but they lose some of their redness when cooked. 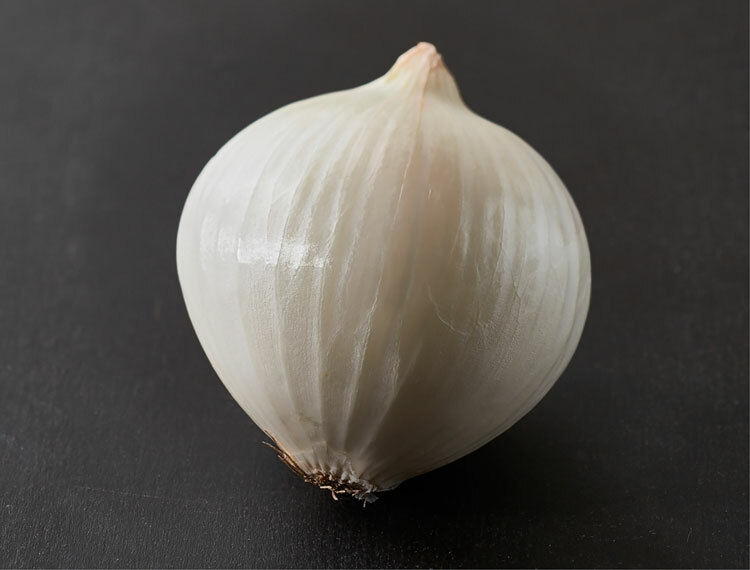 White onions are generally not as strong in flavour or pungent as brown onions. Milder varieties of white onions are also eaten raw in salads and in sandwiches. There are many different varieties of brown, red, and white onions grown in Australia. Vegetable seed companies invest heavily in onion breeding, particularly the development of new disease-resistant varieties. For an up-to-date list of current varieties, visit the pages of our strategic partners. These varieties require a relatively short amount of daylight (10-12 hours) to bulb and are generally grown in Queensland and New South Wales i.e. north of about 35 degrees latitude. Depending on variety and location, planting starts in February through until May and harvest starts in September. Long Day refers to the spring sown onions grown at latitudes of 45 degrees or more but is not particularly relevant to Australia. Most Australian onions are short day or intermediate day varieties. Early long day varieties require a longer period (15 hours or more) of daylight to bulb and the planting generally occurs in June and July for a March to April harvest. These varieties require more daylight than short day varieties but less daylight than long day varieties (around 13 to 14 hours) per day to bulb. This type is grown in regions south of 35 degrees. These varieties are generally grown in southern states where planting occurs from May to August for a late November to March harvest. An open pollinated variety is where the mother plant is similar to the offspring plant. Seed may be retained from an open pollinated crop to produce a reproduction of the mother plants. Open pollinated varieties are the traditional varieties that have been grown and selected for their desirable traits for many years. However, to maintain the variety integrity careful selection of mother bulbs is required in each generation. To produce seed of open pollinated varieties, the same care must be taken as with hybrid seed production to ensure cross pollination from other varieties doesn’t occur. A hybrid is made by crossing two different inbred or parent lines. Hybrid varieties are usually more uniform, have a high yield/packout and better disease resistance than open pollinated varieties. Seed from a hybrid crop cannot be reused as hybrid seeds do not produce true reproductions of the mother plants. Seed companies must do the same cross each year to produce consistent hybrid seed. Seed crops are located so as to ensure no cross pollination occurs from neighbouring fields.